NikeLab is resurrecting the Nike ACG Pocket Knife silhouette, an all but forgotten trail model from 1998, by upgrading the model with a new outsole, premium tumbled leather and two unique casual-themed colourways. 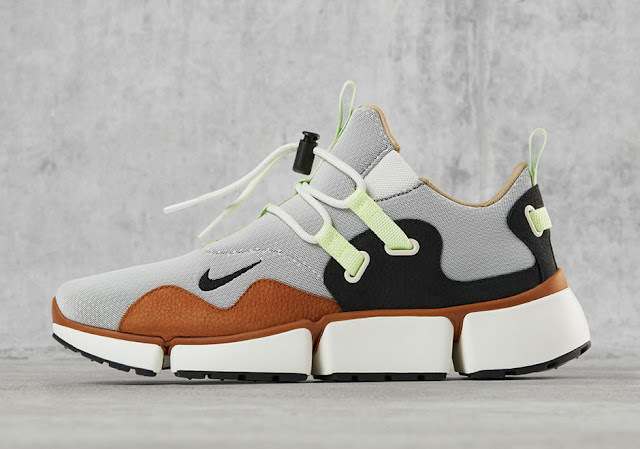 Blurring the line between sportswear and smart casual, the Nike Pocket Knife sneak boasts a bootie construction on the upper – similar to that of the Presto, along with an all new sole underfoot that splits into four rubber pods for enhanced flexibility and grip. 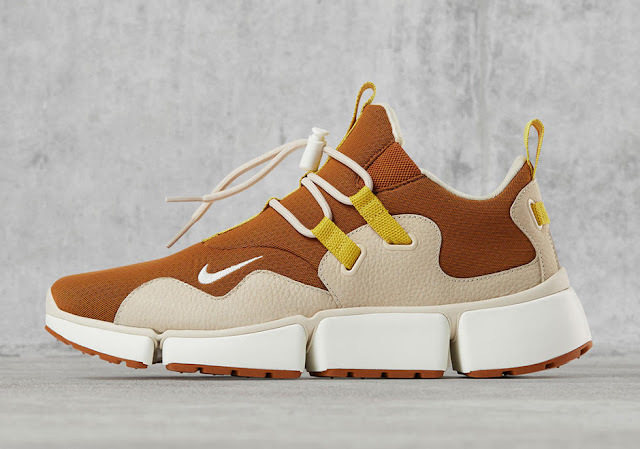 The NikeLAB Pocketknife utilizes a mesh upper, as well as a textured leather sidewall, an interlocking webbing lace system with fastening toggle and elastic lace supports. 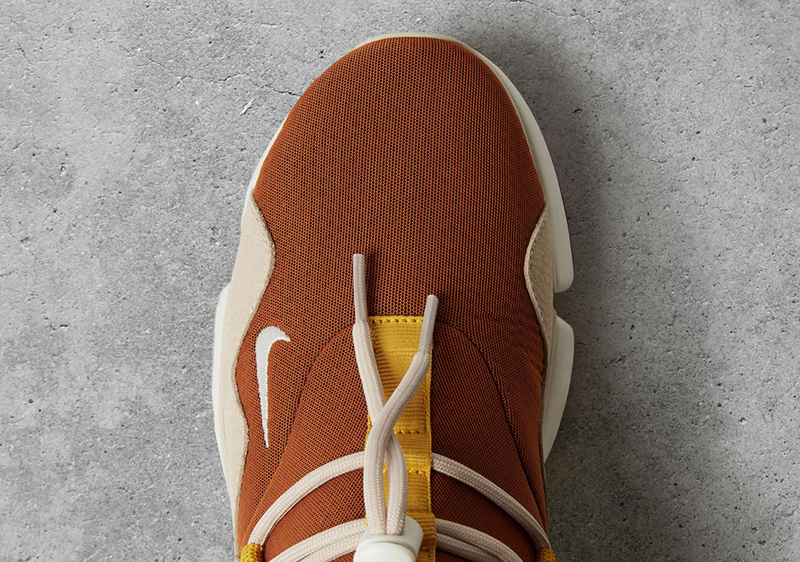 The colourways range from the above pictured Burnt Sienna, Sail, and the Gold option to a Light Grey, Mushroom, Sail with just the right touch of Barely Green. 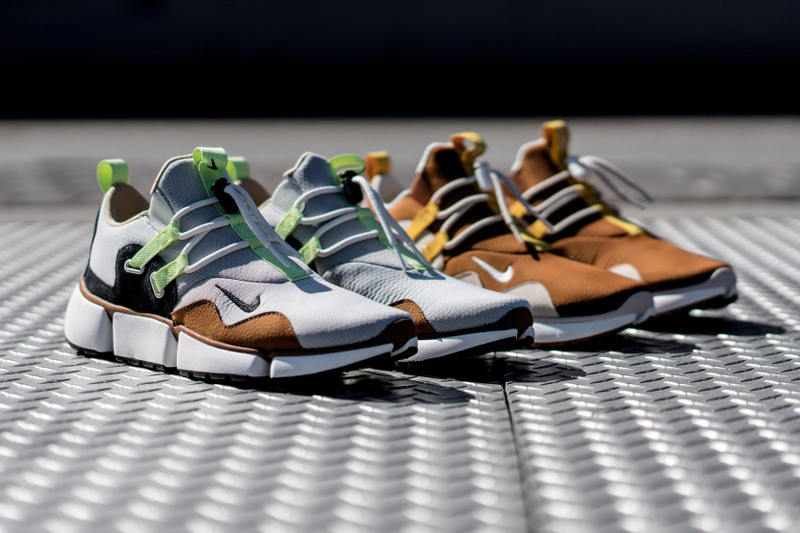 The NikeLab Pocket Knife DM will drop on Friday, 21 July 2017, at selected retailers.